Proceeds from this sale will go towards extending service from West Palm Beach to the Orlando Airport with a stop in Cocoa, which is key to increasing ridership and achieving revenue projections. End to end trip time from Miami to Orlando is expected to be around 3 hrs. Just days later, Virgin was granted approval for the sale of an additional $950 million in private activity bonds to supplement the Orlando project funding. It’s an additional vote of confidence by the investment community in the Florida project, and the Virgin Trains USA brand as a whole. 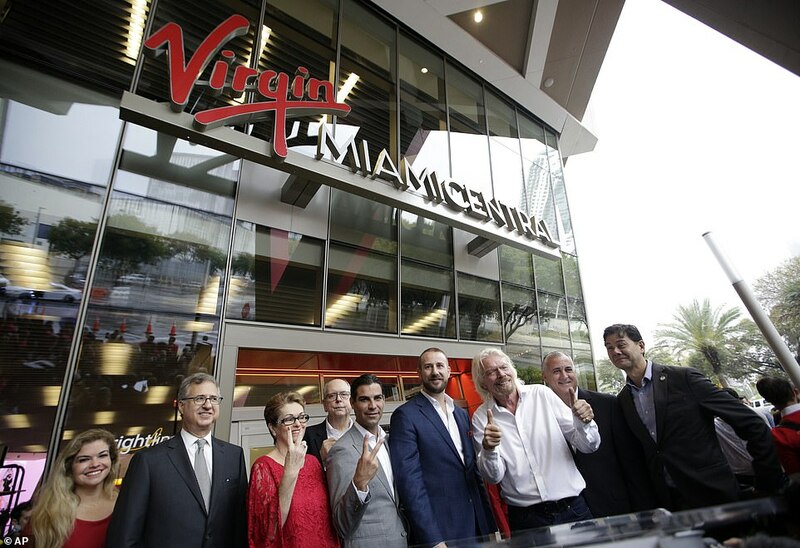 Right before the initial bond sale, Virgin Group founder Sir Richard Branson participated in an event to kick off the official rebranding from the Brightline name. The rebranding is expected to bring more name recognition and public confidence that comes with an established company. This is an important step forward in recognizing the legitimacy of passenger rail as not only a viable transportation option for the public good, but as a profitable private enterprise. It’s an encouraging signal for other passenger rail projects on the horizon that investors are willing to take them seriously. Want better trains in the Midwest? Join today to become a member. MHSRA staff and an enthusiastic group of members traveled down to Springfield to meet with various state legislators for the Transportation for Illinois Coalition's Lobby Day event. The group engaged in productive dialogue and stressed how critical it is that passenger rail and transit funding is made a priority in this next capital bill. Thanks to all who attended!